The B10X combines the best qualities of other electric skateboards and takes it off-road. 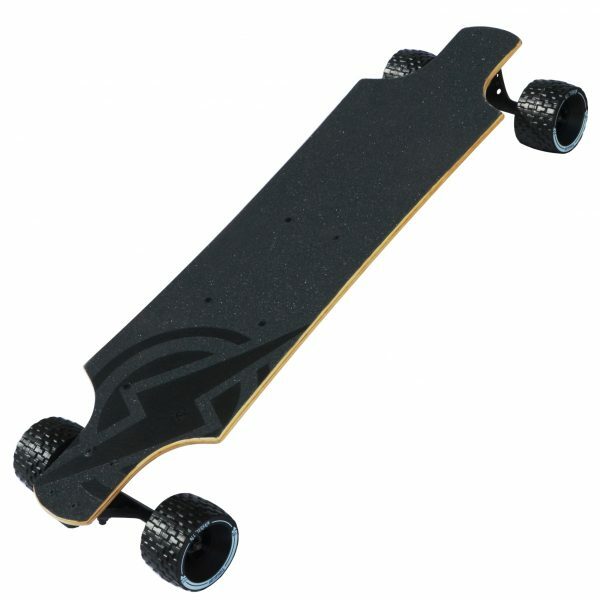 The B10X’s grunty 1000W brushless DC motor, fed by high performance Samsung 25R lithium-Ion batteries and our custom FOC sine-wave speed controller, boasts enough torque to boost you up hills and thanks to the B10X’s smooth and reliable regenerative braking you’ll be able to come right back down and charge your battery in the process. With Atom Electric’s B10X your off-road adventure awaits. 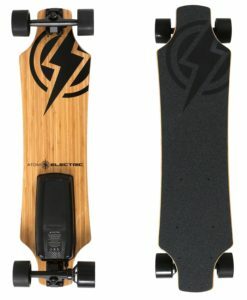 REGENERATIVE BRAKING – What’s better than a longboard with a brake? One that charges your battery in the process. 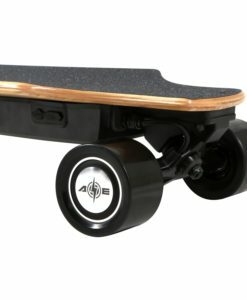 Go the extra mile with Atom Electric. SAFE, STRONG, AND RELIABLE BATTERIES – Atom Electric uses the best lithium cells available (Samsung, LG, and Panasonic) and tests 100% of batteries using peak charge and discharge rates before putting them in a board. There is no way to stop off-brand companies from using cheap and dangerous lithium batteries in their constant push to offer the cheapest price online, but luckily customers are starting to understand you get what you pay for, especially when it comes to safety. 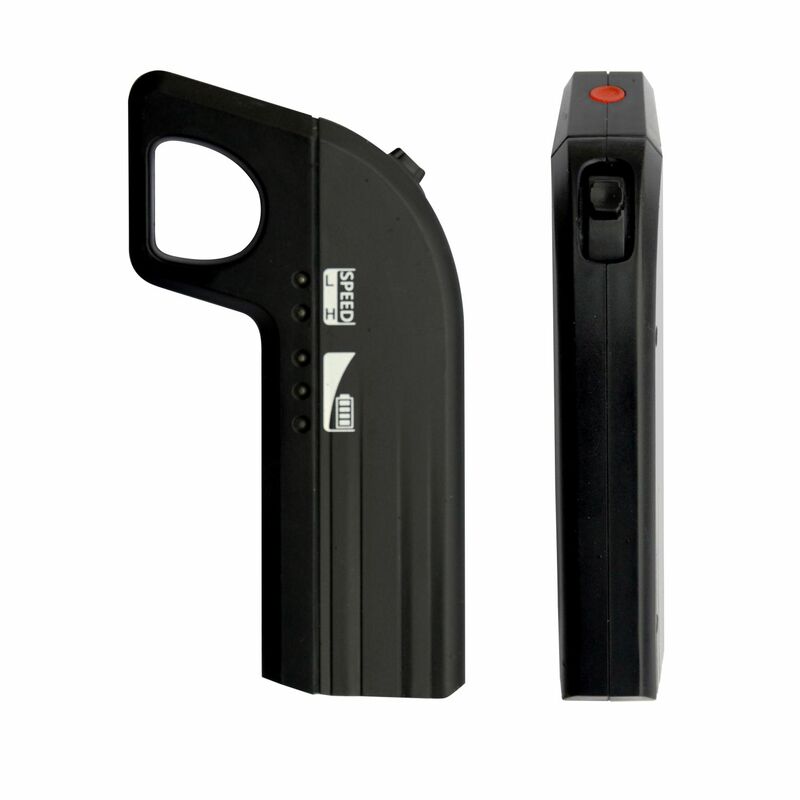 Good batteries are expensive, but your safety is worth it. BATTERY LEVEL INDICATOR – Don’t get caught in black out. 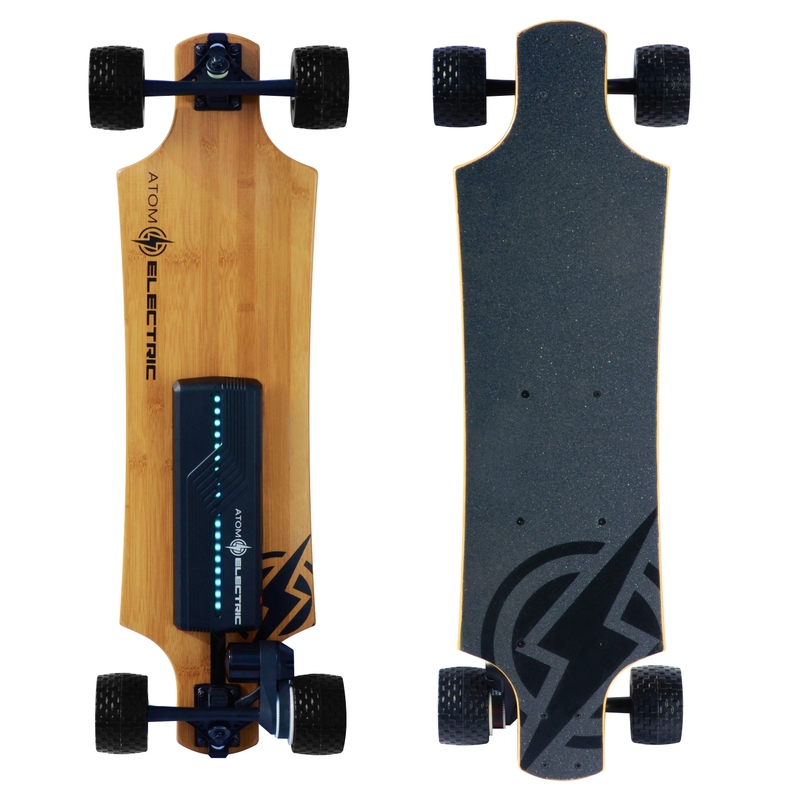 Check the boards built-in battery indicator to know when it’s time to turn back. 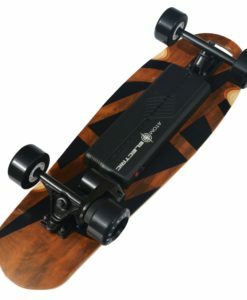 ERGONOMIC REMOTE CONTROL – Secure 2.4GHz wireless technology housed in a lightweight comfortable remote makes controlling your board feel completely natural. TWO SPEED MODES – Slow mode tames the beast for first timers and granny drivers. Fast mode unleashes it! 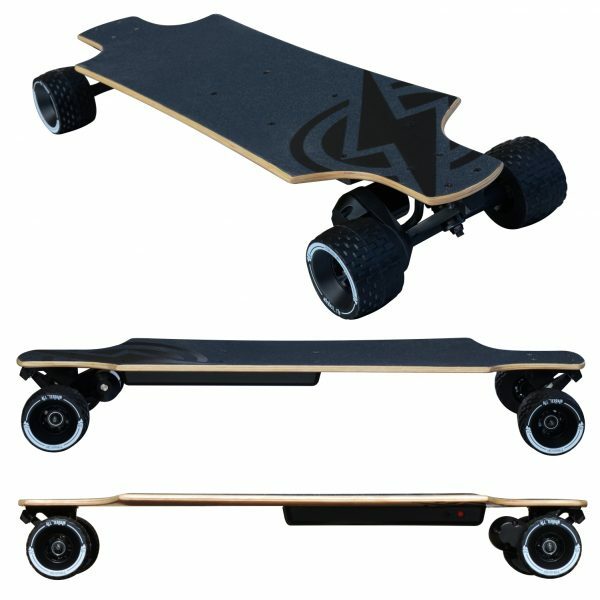 SUPERIOR SOFTWARE – Atom Electric’s B-series boards offer the smoothest acceleration and braking available thanks to the advanced FOC (Field Oriented Control) software. 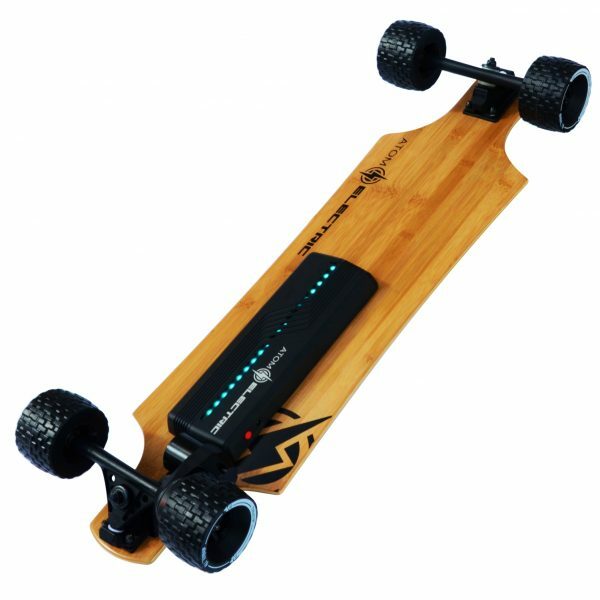 The majority of electric skateboards on the market still use BLDC square-wave technology which can never match the silky smooth performance of FOC sine-wave technology – the Cadillac of Electronic Speed Controllers (ESCs). BUILT TO LAST – With its electronics encased in a compact die-cast aluminum battery box the B-series keeps critical components cool and safe. LOW CENTER OF GRAVITY – Feel more down to earth as you float along just above it. 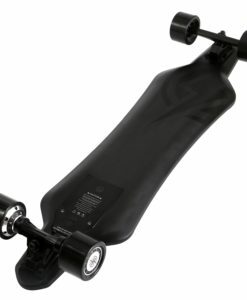 CARRY HANDLE – When it’s time to jump on a train or ride the elevator to work just grab the handle and be on your way. LIGHTS – Battery box features changing light color schemes. 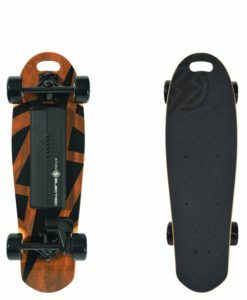 *Hill climbing ability depends on factors such as rider weight, charge status, road surface, and initial speed (board has higher torque at higher speeds), but average size riders can expect to climb hills of at least 10% grade. *Mileage is based on a 155lb (70kg) person riding conservatively on relatively smooth and flat terrain with minimal wind. Actual mileage varies depending on rider weight, riding surface, hills, wind, clothing, and most importantly riding habits. To achieve maximum mileage kick to start, accelerate slowly, coast when possible, brake lightly, and ride below max speed. Going slower means going further. 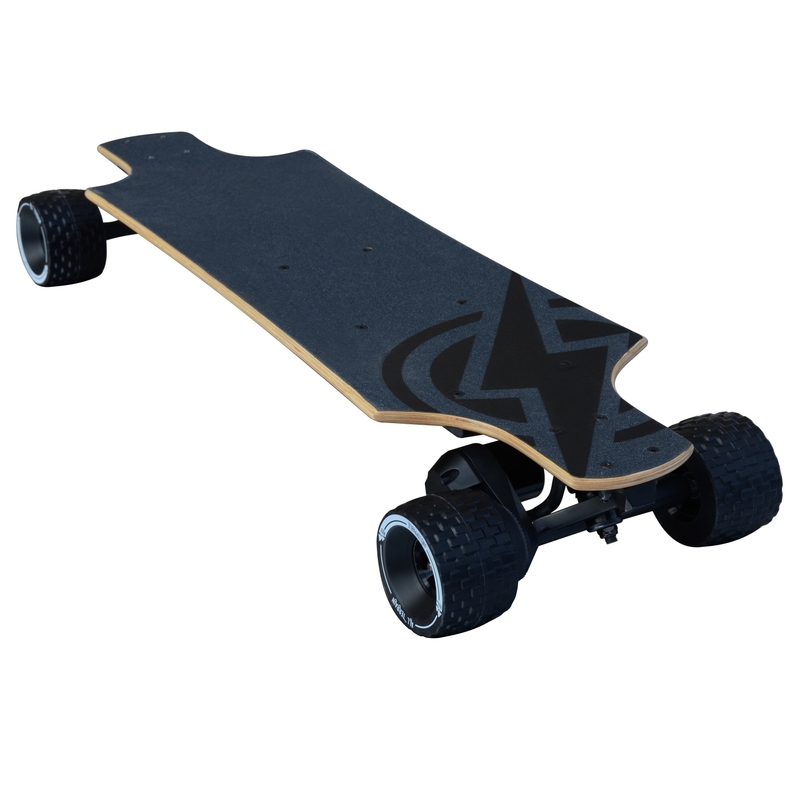 ** Max grade calculated based on 155 lb (70kg) rider riding on smooth surface with mild breeze at full charge. 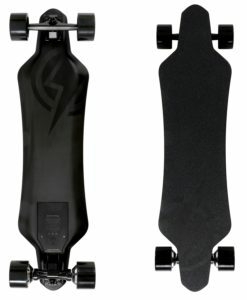 Actual max grade depends on rider weight, riding surface, and battery level.